The Crown Platform hosts a thriving community of developers, merchants and enterprising individuals. Together, we are creating an open-access, decentralized economy that uses blockchain technology to support new applications. By joining us, you can create and contribute to incredible projects and ideas, fostering technological and social innovation. 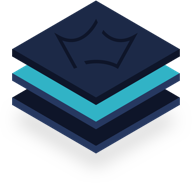 Crown’s overarching goal is to build a community of dedicated users who maintain a free, legally compliant, open-access and decentralized sandbox economy. Using the Crown Platform as its base of operations, this self-governing community dictates which user ideas and initiatives to fund through a democratic voting system. Every person with a stake in the network through node ownership and maintenance has a say in how it’s operated and developed. The Crown Platform itself will enable community members to legally and transparently trade goods, host applications, store value and manage contractual relationships through the power of blockchain. Crown is both a leading digital token (known as CRW) and a self-sustainable blockchain platform for building and running new economy applications. Our community uses the Crown Platform as a payment service, proof of data integrity and a support structure for projects ranging from cloud businesses to applications. As more users lend their talents and passion to the platform, Crown’s potential to promote innovation grows exponentially. CRW tokens are a type of cryptocurrency. Like bitcoins, CRW can be used to pay for a wide variety of products and services. CRW can also be traded against other altcoins through online exchanges. The Crown Platform utilizes secure servers (incentivized nodes) to provide scalability and fault-tolerance for new economy applications. Members of the Crown Community can set up their own incentivized nodes to earn CRW while helping to maintain the network. In a series of 8 papers, Crown outlines plans for a decentralised and incentivised application platform that will diverge from current Blockchain technology in a unique and revolutionary way. The final product will be an open and decentralised application platform providing a cryptographically secure method for anybody with the inclination to harness the benefits of the next generation of Blockchain. You can only store CRW tokens on a Crown Platform wallet which is software that keeps your tokens safe and secure. 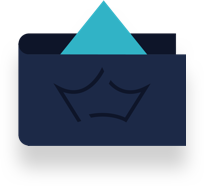 Crown wallets can be backed up and restored, ensuring that your funds aren’t lost if your computer fails or you’re forced to migrate to a new system. This wallet is the hub for both receiving tokens and sending them out. By acquiring CRW tokens you become an essential part of the Crown ecosystem. You can buy and trade CRW from several up well-established exchanges. When the full platform is released in the coming months these tokens will be the means of exchange between you (the customer) and businesses operating on the platform. By maintaining an Incentivized Node (server), you earn CRW, contribute to the network and gain valuable voting rights to determine the future of the network. 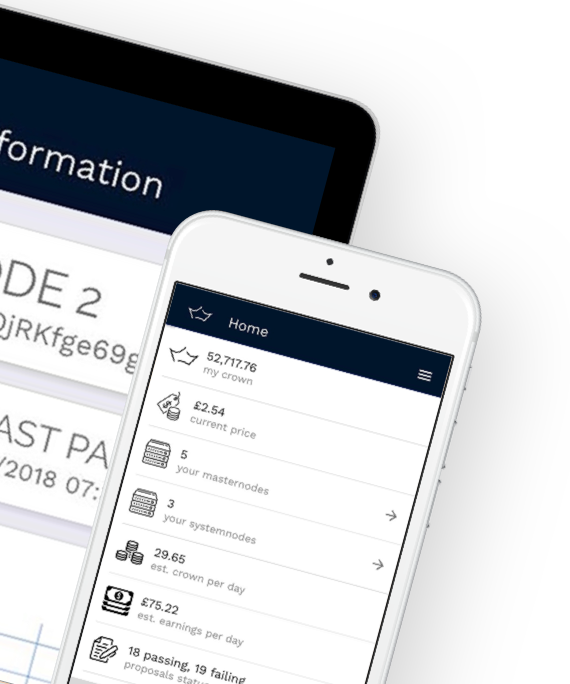 Your Systemnode or Masternode will be tied directly to your Crown wallet through a remote. 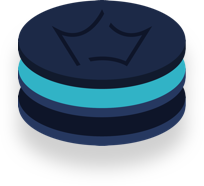 Every time your server helps to process a Crown block, you’ll earn a portion of the mined CRW! MN-PoS (Masternode-Proof of Stake) is Crowns unique take of the Proof of Stake consensus mechanism which provides agreement on the order and validity of transactions. Crown was secured using Proof of Work (PoW) through Bitcoin SHA256 merge-mining but proved ineffective against individual large miners which gained majority hash over the network. Integration of support for the Crown token into a hardware wallet will be a huge advance for CRW token holders in secure cold storage options. Previously only an online computer or mobile phone or a paper wallet were the only options. The next Trezor firmware update will include CRW support! The Crown team meets several times a year in a different part of the world.